Need a New Roof? The Signs | Coast to Coast Property Inspections Inc. The roof is an important component that protects the interior of your home from environmental elements. Although roofs are built to last, they can begin to deteriorate over time as they age. If you’re trying to decide when it’s time to replace the structure, there are a few important signs to look for when you need a new roof. One of the most common signs of a roof that needs to be replaced is if there are missing or loose shingles on the structure. You may notice areas where shingles have fallen off or discover roofing materials in your yard, which is a sign that the roof is no longer protecting the house. The shingles may also be curved or cracked due to exposure to the sun, which compromises the protection of the roof deck. You may even notice roofing granules in your rain gutters. If shingles are losing their granules, they will become bald and will absorb moisture. Once the materials begin to deteriorate on the roof, leaks may develop and cause water damage in your home. You may notice water stains on the ceilings in the home or that mold is forming and posing a threat to your family’s health. If you have persistent roof leaks, this is a sign that you need a new roof. Sagging is a sign that the roof is no longer durable and is at risk of collapsing. You may notice that the roof looks uneven on the outside of the building, which can affect the home’s curb appeal. 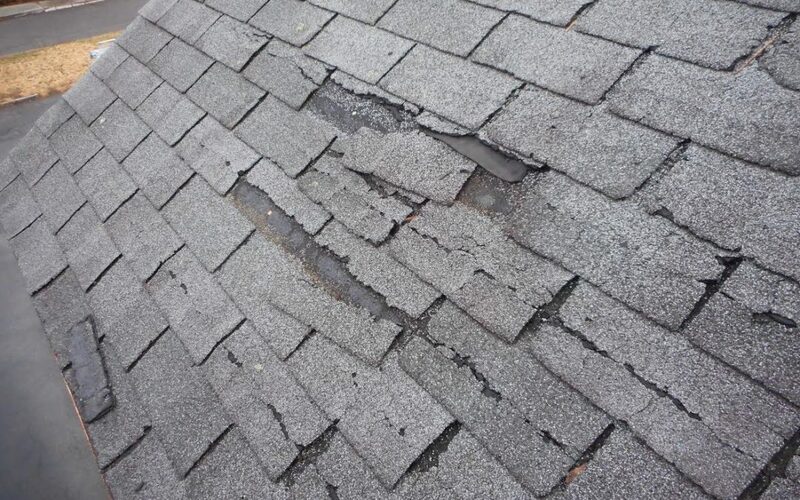 Waiting too long to replace the roof after noticing it’s sagging can lead to significant damage. Roof valleys are an additional warning sign that your roof is no longer structurally sound due to shingles that are falling apart. Valleys are the areas of the roof where rain is redirected to the gutters. If the valleys aren’t protected then it can cause the roof deck to become damaged and for water to leak into the home. The flashing is another important component of the roof that is designed to seal parts of the roof together. It is often found around the chimney or on the valleys. If the flashing is being lifted or rusting, it isn’t able to hold the sections together tightly and usually means you need a new roof. An easy way to determine when it’s the right time to replace the roof is by determining its age. Most asphalt roofs have an average lifespan of 20 years before they need to be replaced. Roofs with clay tiles can last an average of 50 years while slate tiles are known to be the most durable roofing material lasting 100 to 150 years before they begin to wear down. In some cases, the roof may need to be replaced sooner if the attic is not properly ventilated, which can lead to damage occurring at a faster rate. Weather also plays a huge role in the roof’s lifespan. If you live in an area prone to hurricanes, check out our article on how to prepare your home. Knowing the signs will help you determine when to replace your roof and will make it easier to install a new roof at the right time. By knowing when you need a new roof, you can continue to protect the inside of your home and provide the maintenance that is needed to enjoy the property long-term. Coast to Coast Property Inspections offers property inspection services to South Florida. During inspections, we climb on the roof or use an aerial drone if it is not safely accessible. Contact us to schedule an appointment.